The waterproof GORE-TEX® material offers high breathability and better comfort. Combined with a durable thermal lining the PS4170 will perform under even extreme maritime conditions while still offering comfortable wear during constant use. Tailored for extended wear and maximum comfort with a host of design extras that makes it truly outstanding. Several available options can create a unique solution with a custom look. Manufactured to withstand the harshest conditions. A high quality finish with several reinforcements, including knee, thigh and seat area, ensure a rugged and durable suit for constant wear. 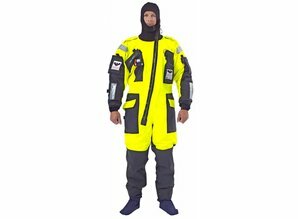 Specially designed to comply with the latest SOLAS requirements and maximize protection against hypothermia and cold shock.